NCT 127 is set to hold a free showcase to promote its upcoming third EP on Wednesday, according to the group’s label S.M. Entertainment. The label said the group will unveil “Cherry Bomb,” the lead track for the new album, for the first time at the showcase at Yes24 Live Hall in Seoul. As the upcoming event marks the seven-member group’s first showcase since its debut, there will be no entrance fee for fans, though they still have to make ticket reservations via ticket.yes24.com that will be available from 8 p.m. Friday. 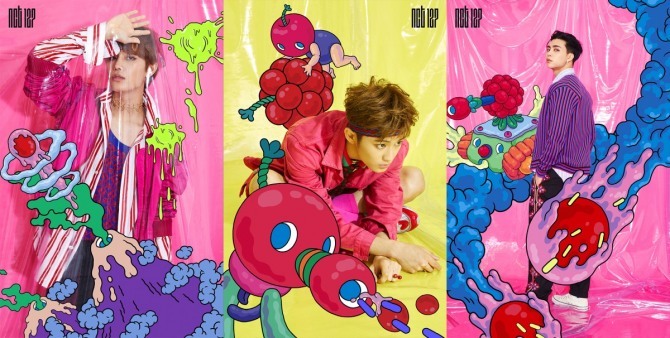 Earlier Friday, NCT had teased promotional photos for the new album via its official webpage, which showed Taeil, Johnny and Mark against colorful and vibrant backgrounds that seemed to describe the image of “Cherry Bomb,” a modern hip-hop song with powerful performances. NCT 127 is a subunit of NCT, a boy band launched by S.M. Entertainment with the concept of having an unlimited number of members divided into multiple subunits based in various cities worldwide. Following the album release slated for Wednesday at 6 p.m., the group will kick off promotional activities for the album on Mnet’s “M!Countdown” on June 15.